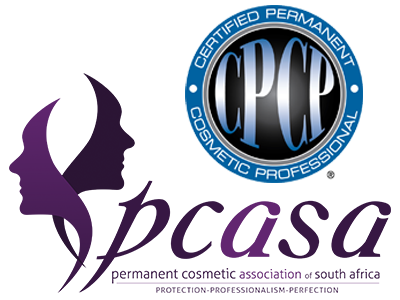 It is can’t wear cosmetics due to allergies, and skin or eye sensitivities. 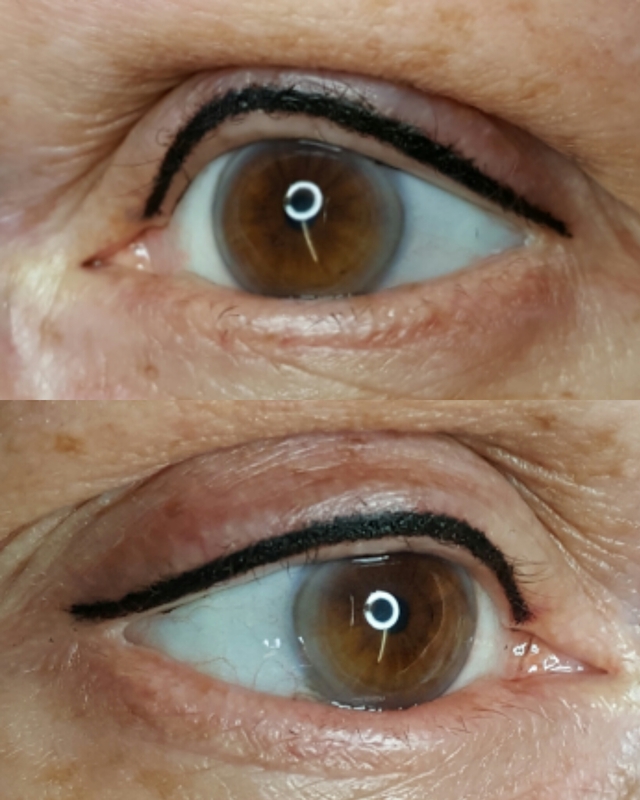 Shaping the eyeliner that will open tired looking eyes and give a youthful look. 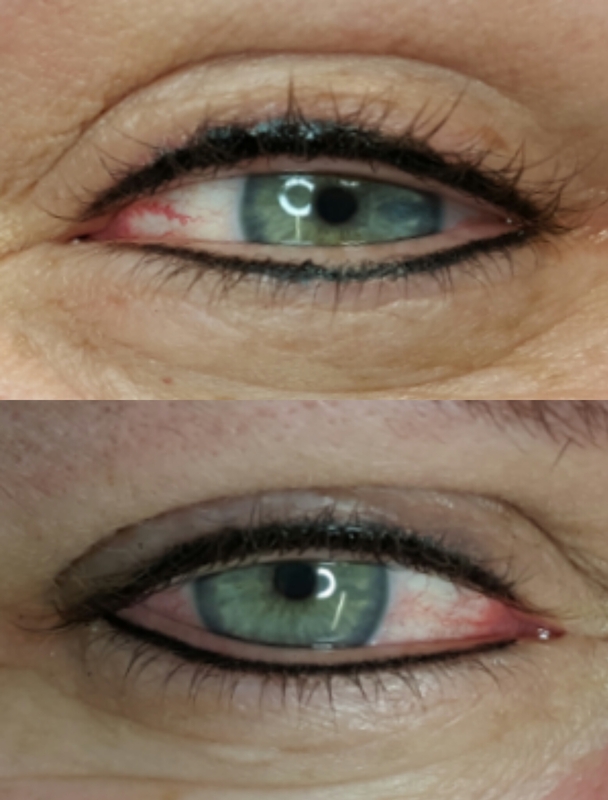 I am not a fan of thick winged permanent eyeliner for the simple reason that it does not age well. 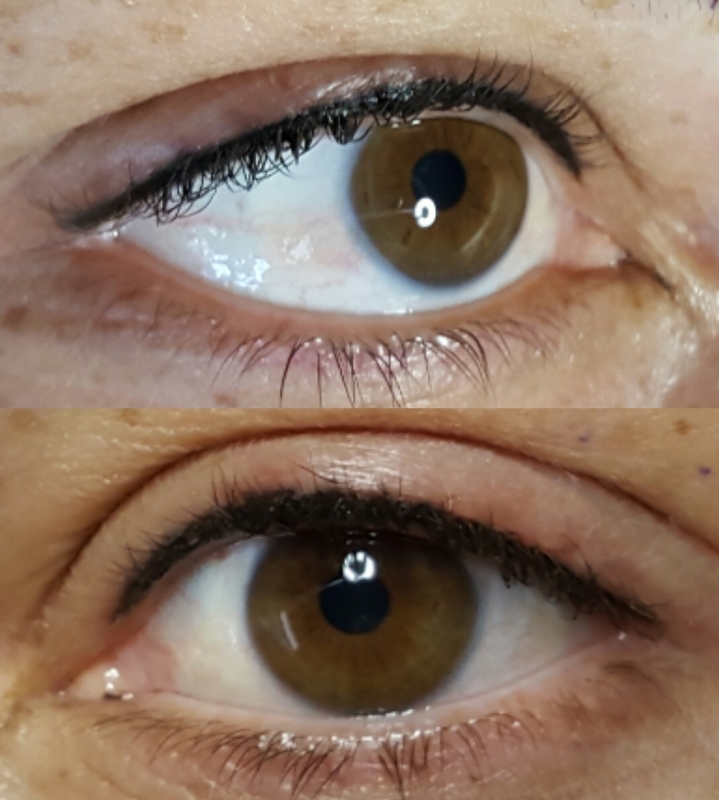 What I do offer is a lash-enhancement tattoo, the tattoo itself can be very thin or as thick as your own natural lashes and does not have a flick or extended tip. 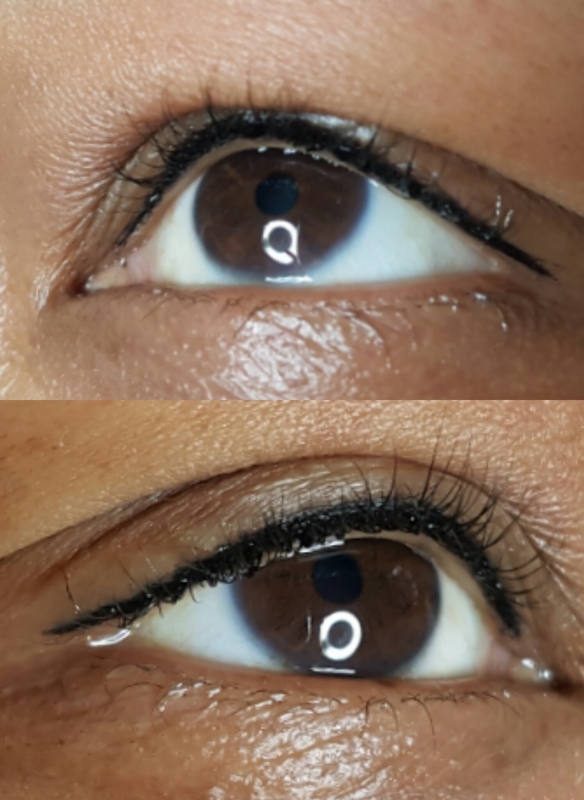 This is fills in between the lashes to create the illusion of thicker, darker, and completely full lashes without looking lined or like obvious make-up. 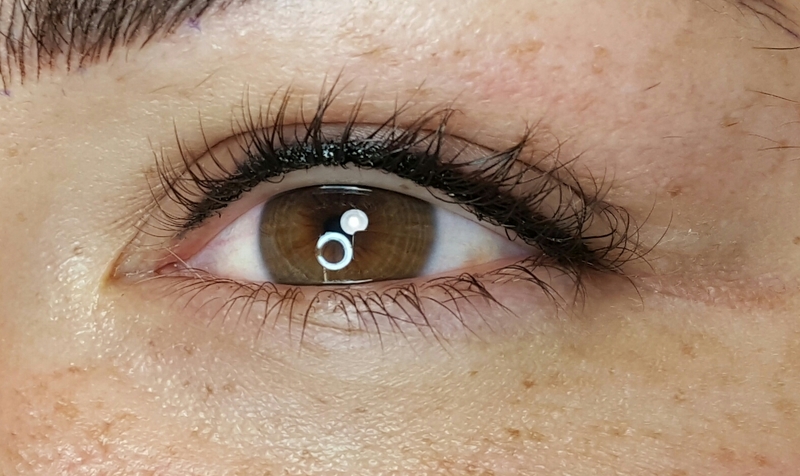 This can be done just on top or the bottom or on both lashes. 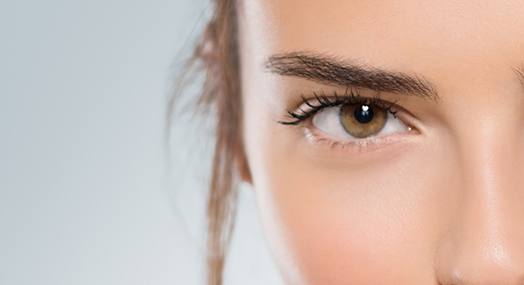 No-one will know you’ve had anything done but your eyes will be more permanently defined and gorgeous. 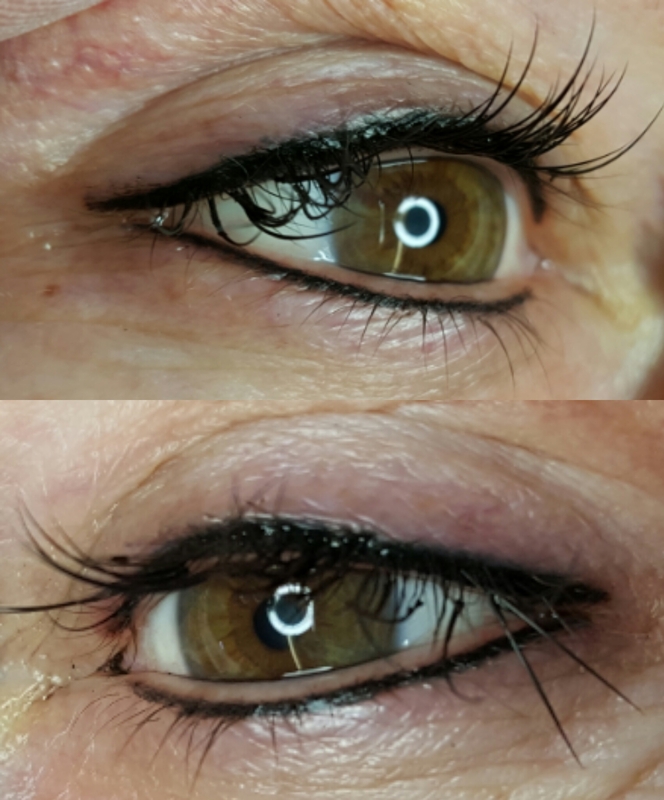 Lash enhancement is great for everyone; especially those with really gappy and sparse lashes as thicker lashes accentuate the beauty of the eyes and make them look more youthful. 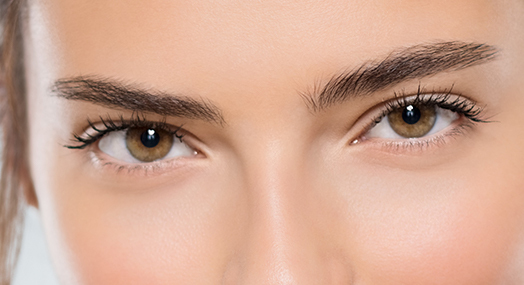 If you like a slightly thicker I line, I can make the top eyeliner slightly thicker with a soft, smokey edge.